The Next sale isn’t something I’d usually bother with, but as we are getting the keys to our house on the 31st we decided to pop in and have a look at their home section. My boyfriend used to work there before graduating and a friend of ours who still works there helped us out. We ended up spending over £200 and I wanted to do a haul but the items for our house are buried under a million other things now! Whilst in there on Friday evening I spotted the above jacket. I instantly fell in love but as we’re moving and I don’t need it I put it back. Once I got home I decided that if it was still there by midday on Saturday when we went in to pay for our haul I’d treat myself to it. Of course, it was there… along with loads more. I honestly don’t know why as I think it’s gorgeous. Each to their own I suppose! It was £25 down from £55 and I’m over the moon it’s mine. It’s quite sad that owning a jacket makes me so happy but it’s nice so, who cares? Did you pick anything up in the Next Sale? Follow bethanyworrall on bloglovin’ to keep up to date with all posts! Next YouTube | Primark to Collaborate With Velvetgh0st? 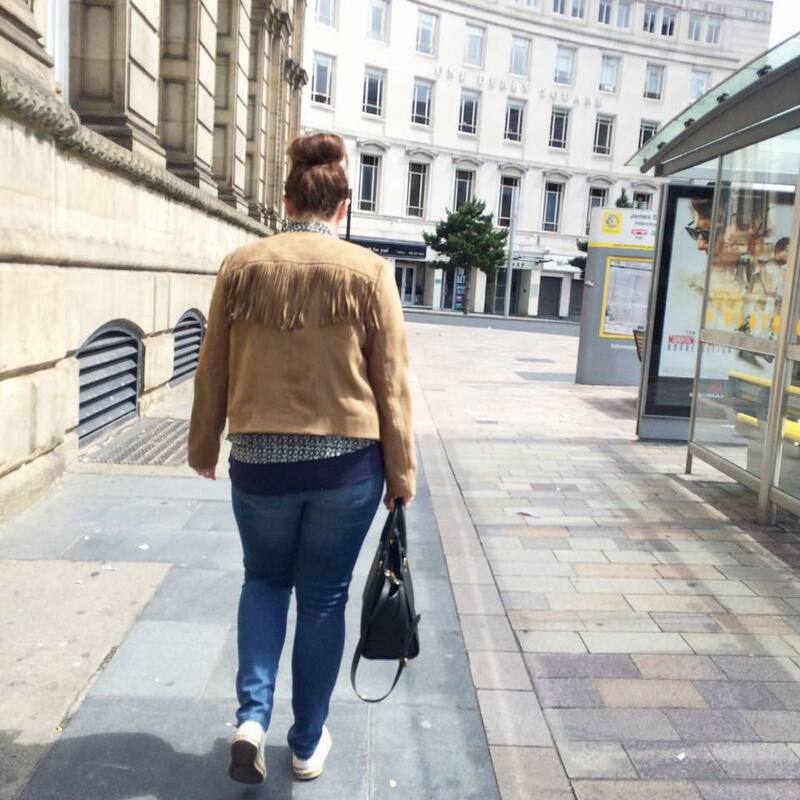 Love your outfit chick, especially the fringed jacket! Gotta love a bit of fringing, my sister got me a fringed black cross body bag for my birthday that I absolutely love! Haven’t looked at the Next sale to be honest. I did hear about it though as our local store opened at 5am apparently on the Sat that it started :/, mad, not sure if anyone turned up that early though! My mom was near one yesterday though and I asked her to pop in to see what the baby stuff was like on sale, but she said there wasn’t much newborn stuff so haven’t bothered to rush in to have a look. My local one is quite small though to be honest. Yeah most open at 5am! Loads of people queue outside from like 3am! It’s mental!! !